If nothing is good and nothing really matters, then put nothing in its place. 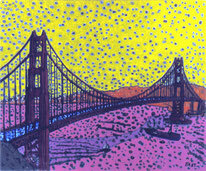 This little painting spawned a series of paintings. I became obsessed with nothing. Nothing includes and excludes everything. 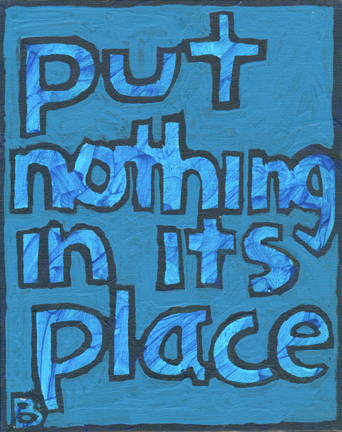 Putting nothing in its place is both material and immaterial. Mania requires work. Summoning questions for which there are no answers, then working furiously to prove or disprove them is all for nothing.